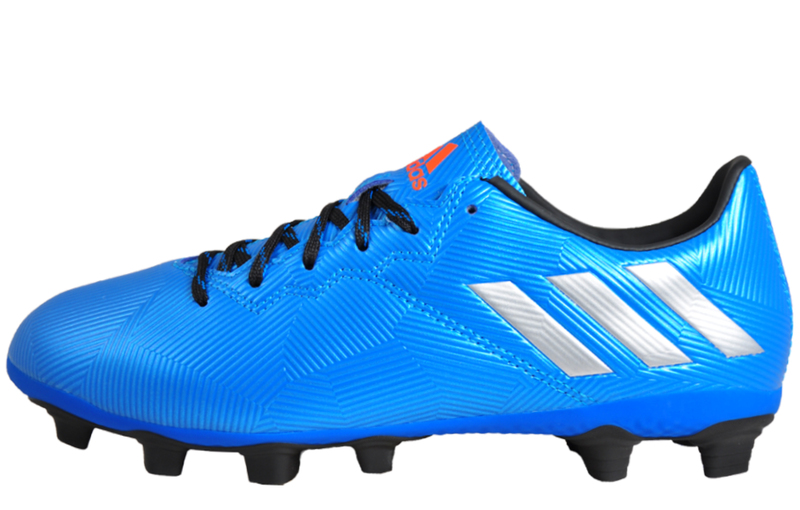 Developed with Lionel Messi himself, Adidas have created a unique pair of Adidas football boots specifically designed for firm ground use, available in a stunning stand out blue and silver colourway with the signature Adidas 3 stripes appearing as the cutting-edge ‘Strokes of light’ graphic, these football boots are sure to deliver a stand out performance on most surfaces. 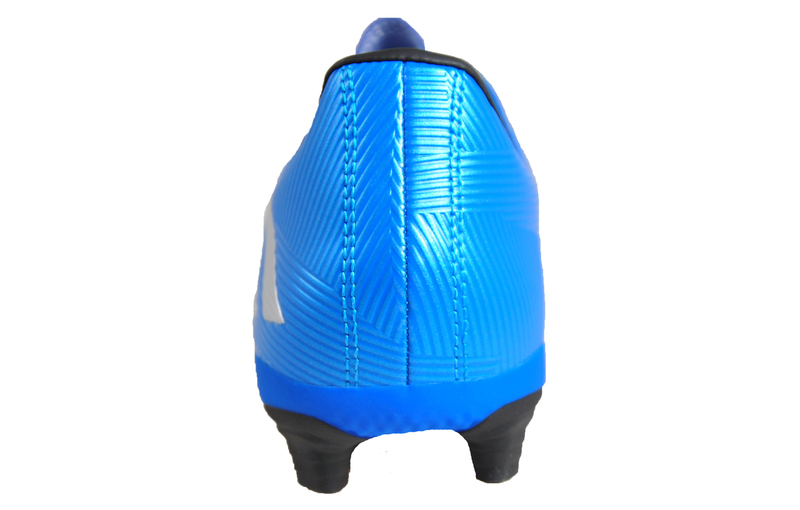 Crafted from a lightweight state of the art synthetic upper which is extremely durable and comfortable, this firm ground football boot features Agion technology in the insole which fights the bacteria that creates odour, to ensure these boots stay fresher for longer. 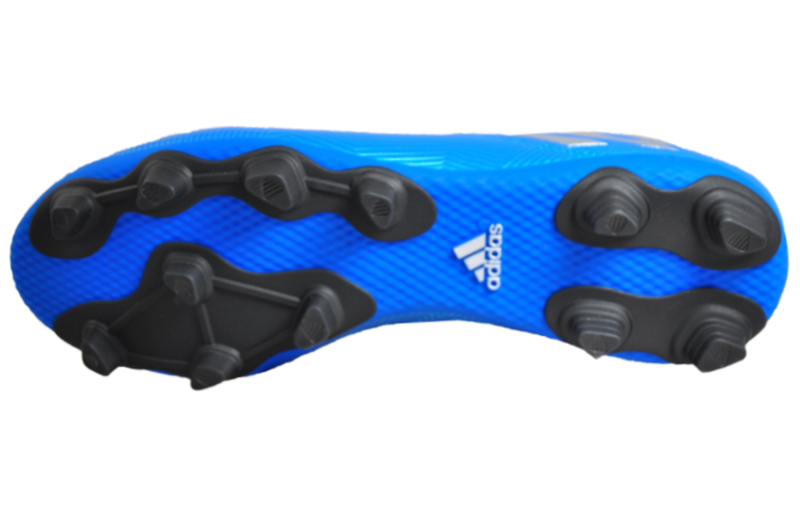 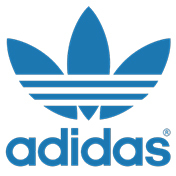 Complete with a Traxion stud layout to the outsole this men’s Adidas football boot delivers great traction for acceleration – promising a premier performance for the full 90 minutes and into extra time. 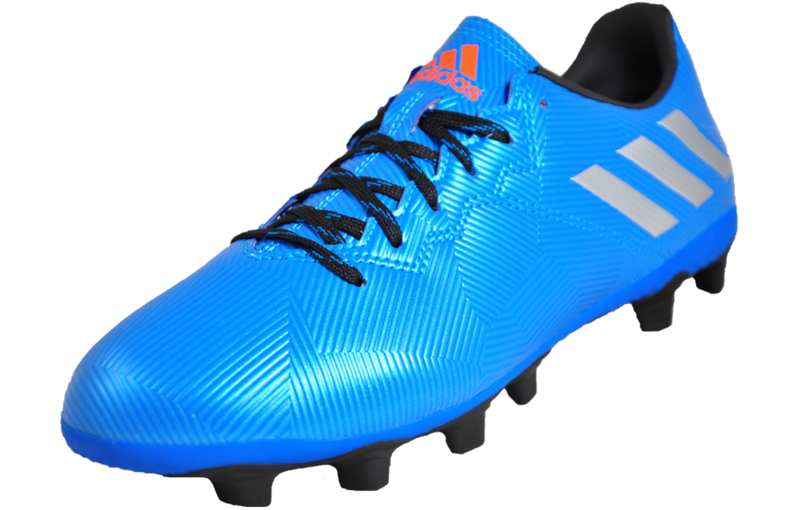 Complete with a cushioned heel pad these football boots help reduce the chance of blisters whilst adding extra comfort. 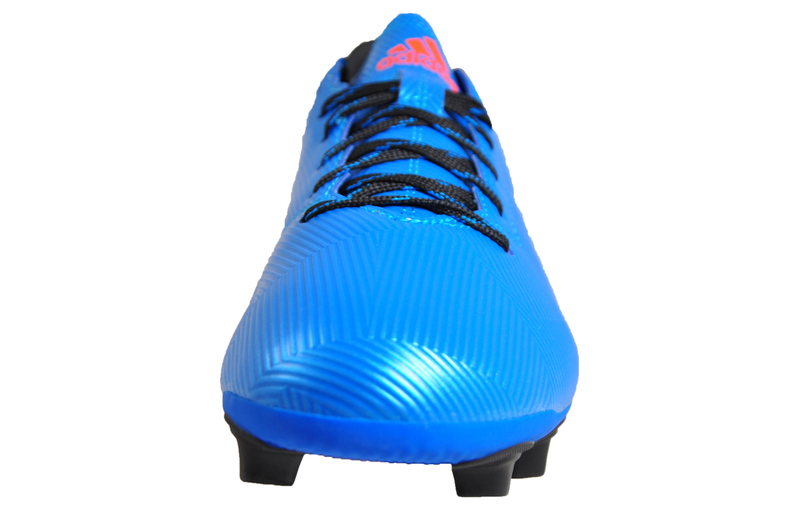 Experience quicker performance in a lightweight football boot that promises style and substance, perfect for any aspiring player.